Since I've been in Australia I've really missed my family, my dog, my friends.. Starbucks (Literally only one in Melbourne city!) Waitrose, Waterstones.. but above all of the smaller things I have missed, I've bloody missed my Naked Palette SO MUCH. I left it behind.. crazy right? Well for the obvious reasons that it's heavy and bulky to cart around in a bag pack I actually didn't really think I would need it either. Turned out I more than need the naked palette in my life at all times. I was a bit hesitant about the repurchase of a naked palette.. The first being I have one at home, as well as the Naked 2 (I'm not a fan of the 3rd) and the 4th being Naked 'Smokey' Palette (currently on my list). I took a trip to Mecca and started playing with the colours of the smokey palette. My question was, do I stick with what I know? Or do I get the Smokey palette with the Naked 1 shipped out to me? I picked up the naked palette and my decision was made. I couldn't wait. I just can't help myself with this palette! I honestly think that is it the best from the naked collection and it was made for me! 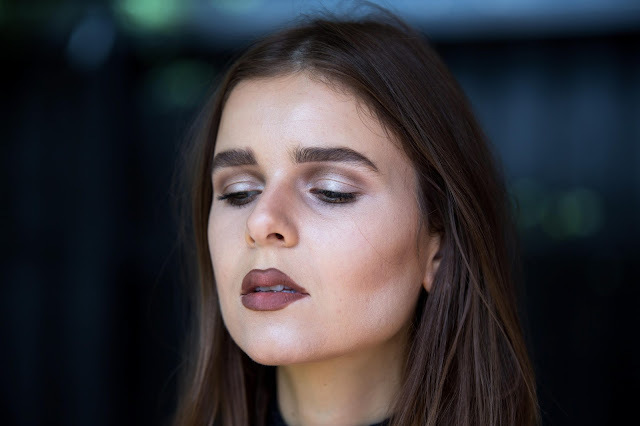 It has the warm and cool tones in shimmer and matte when I like to tan and the cooler tones for Autumn and Winter that compliment my wintery pale skin! I do like the Naked 2 as it has more of a range of edgy colours with pinky tones but I just think that if you were to buy one of them the first would be the best option to play around with.. my dilemma now? I've left without the smokey palette and it is now back on the list! I know some of you would like to see more beauty on my blog so this year I'll be creating some smokey looks! If you don't already, follow me on Twitter, I would love to know what you think of this look? I regularly like to post polls on my feed for feedback. I'm a huge Urban Decay fan, I buy so many single eye shadows in particular as well as palettes, however I'm keen to branch out of their eyeshadows and try more of their other products, good idea? Any recommendations? Be sure to leave me a comment!